As Airports go, Atlanta's Hartsfield-Jackson Airport is a behemoth with several terminals and a nonstop flow of people coming and going. On my latest pass through Atlanta, I had a little extra time on my hands, which meant I could explore the foodie options around. At Hartsfield-Jackson, you've got the typical lineup of fast food joints and convince stores, but I was looking for something a little more substantial, because I had not had breakfast and still had a while to go until I landed back in Baltimore. 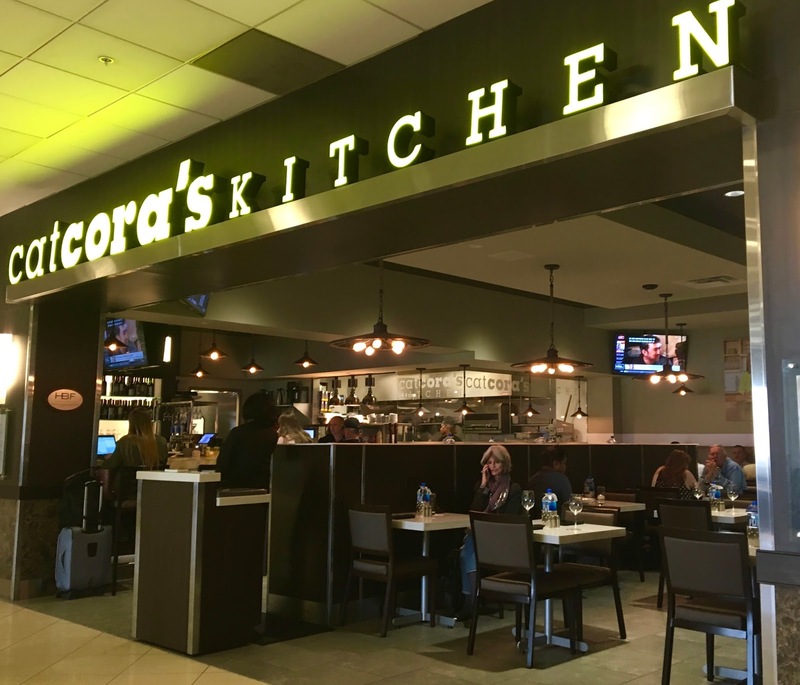 When looking at a directory, Cat Cora's Kitchen stood out to me because she used to be the celebrity chef behind Kouzzina, the now-reborn Disney restaurant that had excellent gluten-free options. With real food on the menu, and a gluten-free menu to guide me, I had high hopes that this "airport food" would break the bland stereotypes often assigned to it. 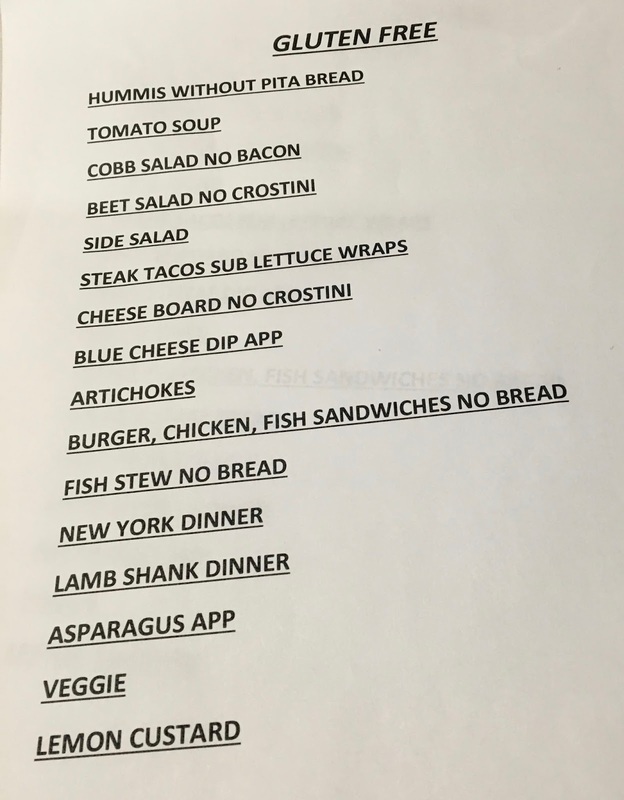 When I asked to see the gluten-free menu, the staff pulled out a helpful gluten-free menu that helped me narrow down and navigate the items on the menu. While dairy is not noted on this menu, my server was really knowledge about allergens and communicated my dietary needs to the kitchen to minimize cross contamination. If you are in a hurry, do note that they don't normally do takeout orders from the bar because the wait staff are the most experienced handling allergy orders. 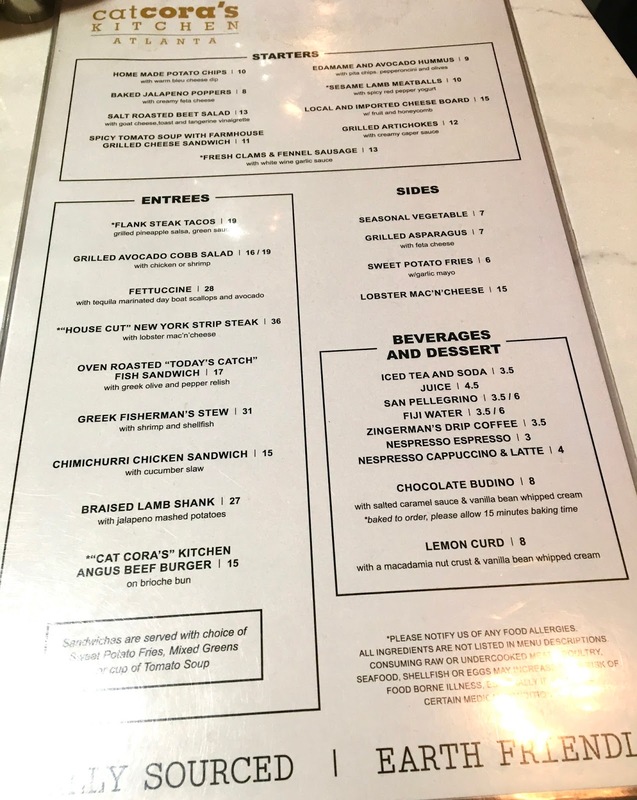 The menu does have major gluten and dairy-laden dishes to avoid, but many of the items can be modified or served up as is. Ingredients are locally sourced, which is something you probably can't find at many airport restaurants. I ordered the chicken grilled avocado cobb salad, which is gluten-free sans bacon and dairy-free sans blue cheese. At first glance, I was impressed by the vibrant colors and large size of the salad. Everything was portioned nicely and there was a good balance of vegetables, dressing, and protein. The vegetables- especially the lettuce- was remarkably fresh. Like fresher than farmers' market lettuce fresh. The chicken was tender and flavorful and the dried tomatoes had an intense tomato flavor. The avocado was at perfect ripeness and the boiled eggs were firm and perfectly cooked. Lastly, the dressing was sweet and a little tangy- and easily tied in the competing flavors and textures together. 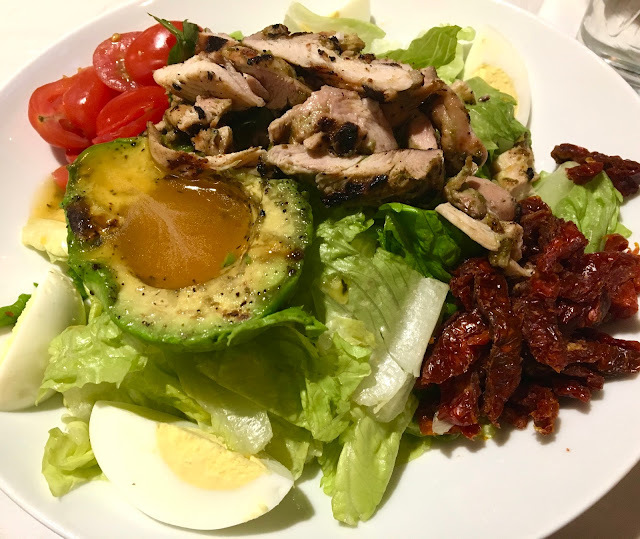 The salad was pure perfection: flavorful, fresh, and balanced with protein, healthy fats, and nutrients. Although I had moderately high expectations going in, the salad far surpassed anything preconceived notions I had going into the meal. Although it was a bit pricy, it was far better than a subpar tex-mex bowl from a fast food chain. I had no regrets, and appreciate that I was able to get a delicious meal before my flight. Although I don't know when I'll next be passing through Atlanta, I will make a mental note that Cat Cora's Kitchen is a place that I can rely on for a safe meal. Although I always have snacks on hand, I enjoyed the experience of getting real food between flights. I left impressed and satisfied- when's the last time that ever happened at an airport? !